One of the worst physical feelings in the world is being unable to breathe. There is the immediate, survival-mode panic that accompanies the wheezing, incessant cough, tightening of the chest, cold sweat and virtual inability to communicate. 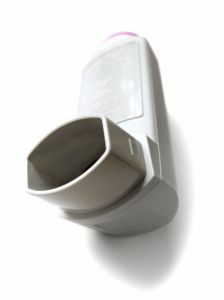 For chronic asthma sufferers, this is a regular occurrence. Our Boston Social Security Disability Insurance attorneys know that sometimes even with treatment, the symptoms won’t subside. In these cases, the fact that these asthma attacks can and do strike suddenly and without warning can prevent sufferers from having any real ability to work. Section 3.03 of the Social Security Disability Insurance blue book definitions of respiratory disabilities specifically addresses asthma. The listing allows for disability benefits in cases of chronic asthmatic bronchitis (which is evaluated under the section for chronic obstructive pulmonary disease) or attacks that are severe and frequent despite following prescribed treatments. These attacks must be severe to the point that they require a doctor’s intervention and occur at least one time every two months or a minimum of six times annually. Anytime an in-patient hospitalization for an asthma attack lasts longer than 24 hours, it is allowed to count as two attacks. You should also be aware that not every single asthma attack you have is going to count toward your qualification. If you’re able to control your condition with an inhaler or nebulizer, it’s not going to count. But it absolutely doesn’t hurt to list those incidents too, as well as any accompanying proof. It goes to further illustrate the overall impediments to functioning your condition causes. Having meticulous documentation of these incidents is critical, as the administration requires an evaluation period of at least one year in determining the frequency of your asthma attacks. Cope with changes in a routine work setting. Absent fitting this criteria exactly, you could still be eligible for benefits if the administration decides your condition renders you unable to handle basic work functions. if you’re younger than 50, this is generally going to mean your ability to lift up to 10 pounds, walk or stand for up to two hours or sit for six hours during an eight-hour day. Those with chronic asthma often also suffer from fatigue, an inability to walk very far or very long, lift heavy objects or work in certain conditions where they may be exposed to cold or hot temperatures, chemicals, smoke or dust. These types of limitations can significantly reduce your ability to do the job you already do, as well as other types of work. Older applicants of often have an easier time securing benefits. But younger folks shouldn’t have to suffer for years in conditions that tend to make their illness worse. An experienced SSDI lawyer can help you explore all your options.